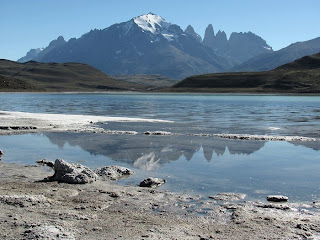 The peaks of the Paine massif reflected in Laguna Amarga. 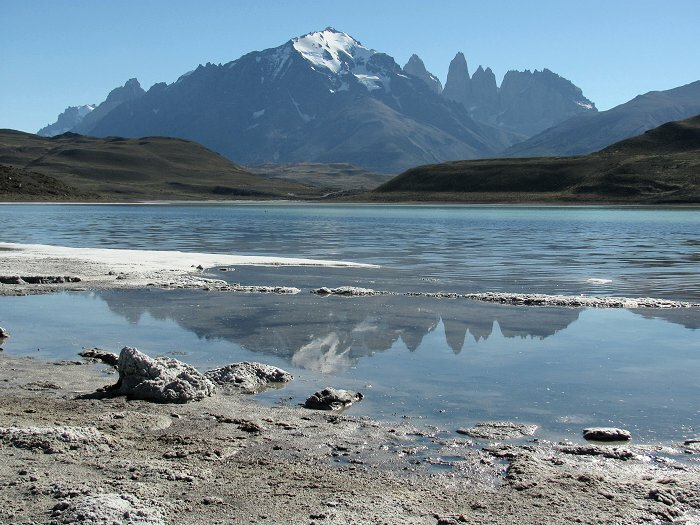 The snow-capped peak is Almirante Nieto; the spires of the Torres del Paine can be seen to the right of Almirante Nieto. Chile lindo!